Camilla flashed a huge smile at the event. Source: Getty. She’s not one to let her style slip on a royal engagement and Camilla proved even the biting cold air in the UK this week won’t stop her looking her best. The Duchess of Cornwall, 71, looked effortlessly elegant as she visited community groups in South London before greeting kids at St John’s Angell Town Church and Primary School. 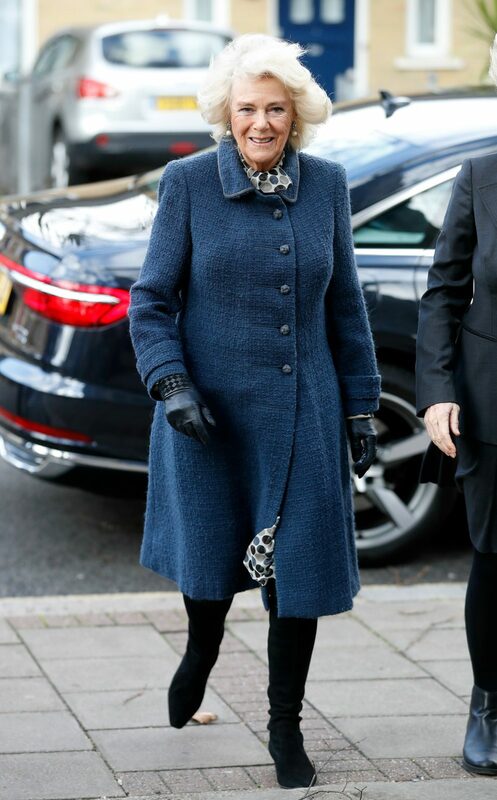 Wearing a stylish blue button-down coat, the duchess coupled it with her favourite knee-high black suede boots. Adding some more colour to the outfit, she wore a spotty scarf around her neck – seemingly part of her dress hidden underneath – and finished the look off with some black leather gloves. Camilla looked effortlessly stylish in the blue outfit. Source: Getty. Flashing a beaming smile throughout, she looked in her element as she walked alongside a group of kids and chatted to them inside. 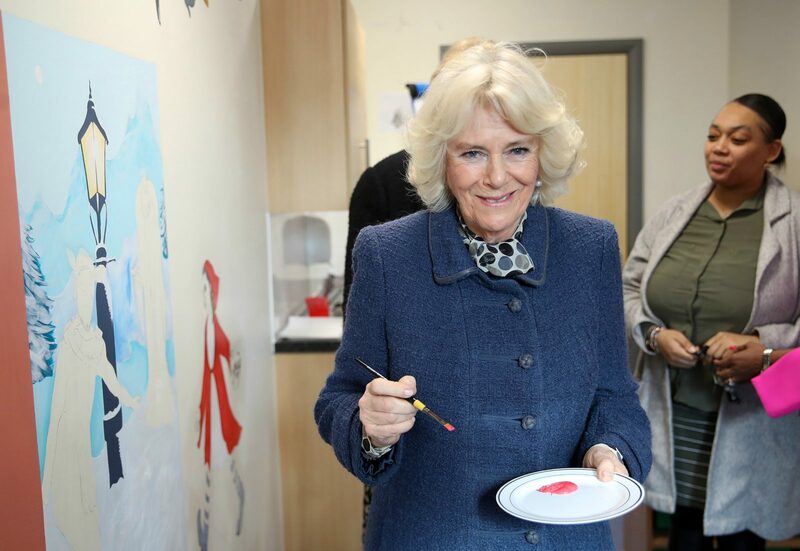 From there, Prince Charles’ wife showed off her artistic skills as she helped to paint a mural before opening the school’s library. Proving a busy visit, she finally went on to see the church and met with the Bishop of Southwark. Camilla even tried her hand at painting. Source: Getty. 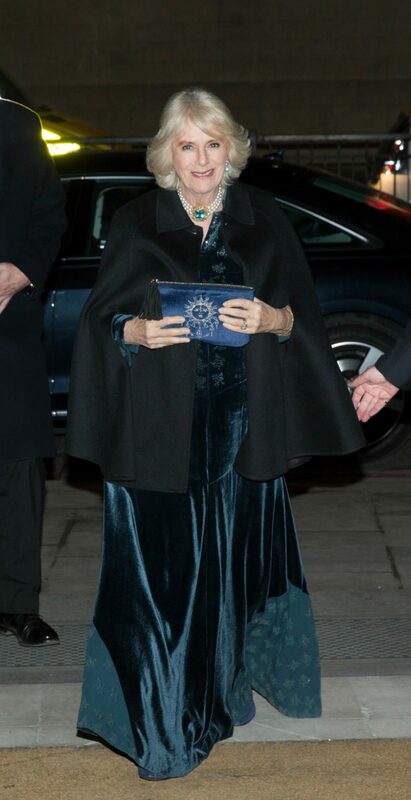 It was a more casual look for the royal, just days after she wowed crowds in a gorgeous blue velvet gown to attend a dinner for the English & Welsh wine industry in London. The duchess, who is President of the Wines of Great Britain, looked incredible in the floor-length gown which featured stunning silver detailing. Camilla added a touch of bling with a three strand pearl chocker, and a stylish black cape to keep warm in the bitter British weather. As the event centred on wine, it was no surprise to see Camilla enjoying a glass of red at the reception. She then delivered a short speech to fellow guests and members before settling down to dinner. It’s been a busy few weeks for the royal, who’s been spotted out and about on a number of engagements. Do you like Camilla’s winter look?